I’ve attented my very first yoga class more than 6 years ago while I was living in Shanghai. Out of curiosity, firstly, but also out of fascination for this then strange world. As someone who never had followed any discpline or physical practice in the past, yoga was a truly new discovery to me. My practice was at first, and for a few years, quite irregular. But, little by little, my body opened to the practice of asanas. My mind started to find ease in effort and started to focus on the present moment. For a few years, I practiced a lot by myself, using YouTube videos or just by learning how to listen to my body. I also attented some yoga classes by different teachers in China. 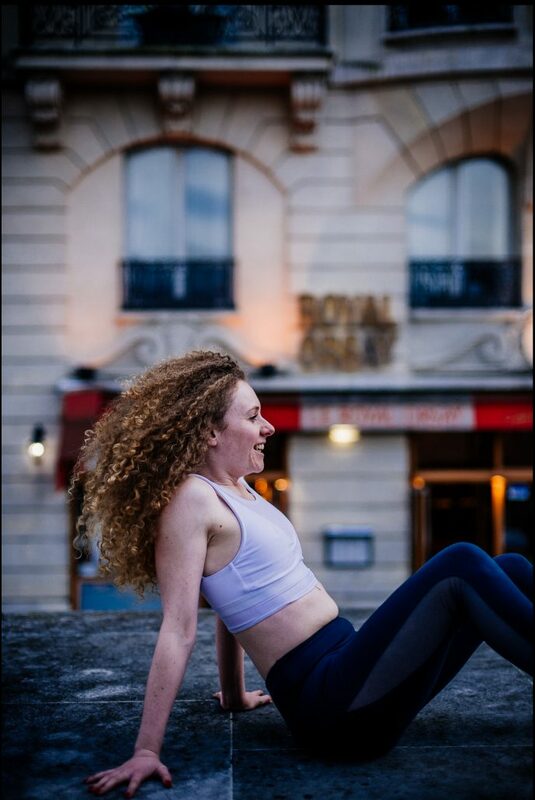 It is only when I moved to Paris two years ago that I discovered the Ashtanga, which has since become my practice. Even though Ashtanga is a discipline that I hold dear, I don’t refrain on practicing other styles of yoga, being a constant source of inspiration to me. Today, yoga is an essential part of my life, and as a good ashtangi, I now practice it thoroughly. Without opening up to yoga, I would have never discovered that my body could do so much and I would have never elevated my soul to such level of bravery and creativity.